Junior Ministers Emma Pengelly and Jennifer McCann today addressed an event to mark Women’s Entrepreneurship Day at the Lyric, Belfast. The Breakfast was hosted by the Centre for Democracy and Peace Building and Ulster Bank and included students embarking on the working world, those starting up a business, established business owners, employees and stakeholders. 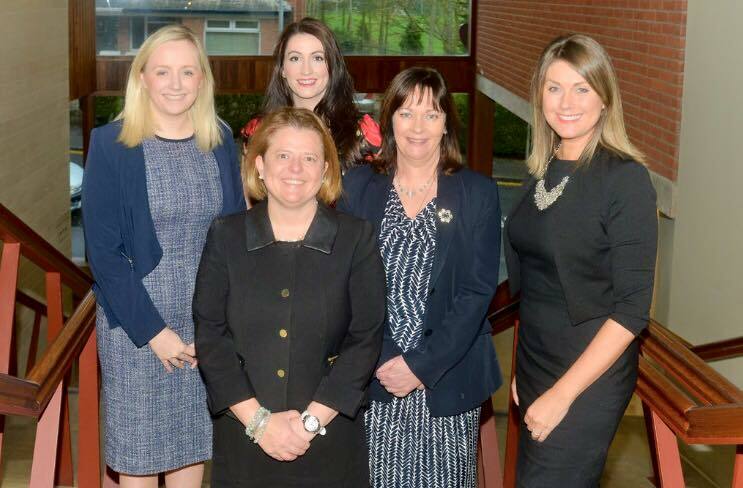 Speaking at the event Junior Minister Emma Pengelly said: “We have to break down the hurdles that many women encounter in bringing their talent, determination and skills to the fore for the benefit of all the citizens of Northern Ireland. Throughout history many of our key moments have been dominated by men, now is the time for women to write the future. Let us change this world for the better. We must harness our collective intelligence, passion and compassion to make positive changes that will shape this world for good. Junior Minister, Jennifer McCann added: “Today’s event on Women’s Entrepreneurship Day recognises the colossal contribution women make to commerce. “Commerce like politics needs diversity, fresh ideas and contributions from a wide range of people. We must not frustrate or waste the talents of women; instead we must harness talent and inspire women. “We must all work hard to eradicate any social or economic barriers women face. If we increase the economic and social opportunities for all women we increase the collective economic potential of society.